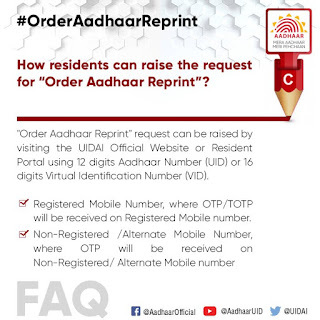 Aadhaar reprint, by visiting UIDAI Official Website or Resident Portal using 12 digits Aadhaar Number (UID) or 16 digits Virtual Identification Number (VID). Step 5 - If you have TOTP, choose option "I have TOTP”" by clicking in check box else Click on "Request OTP" button. Step 6 - Enter OTP/TOTP received on registered mobile number. Step 7- Click on the check box against "Terms and Conditions". (Note: Click on hyper link to see details). Step 8 - Click on "Submit" Button to complete OTP/TOTP verification. 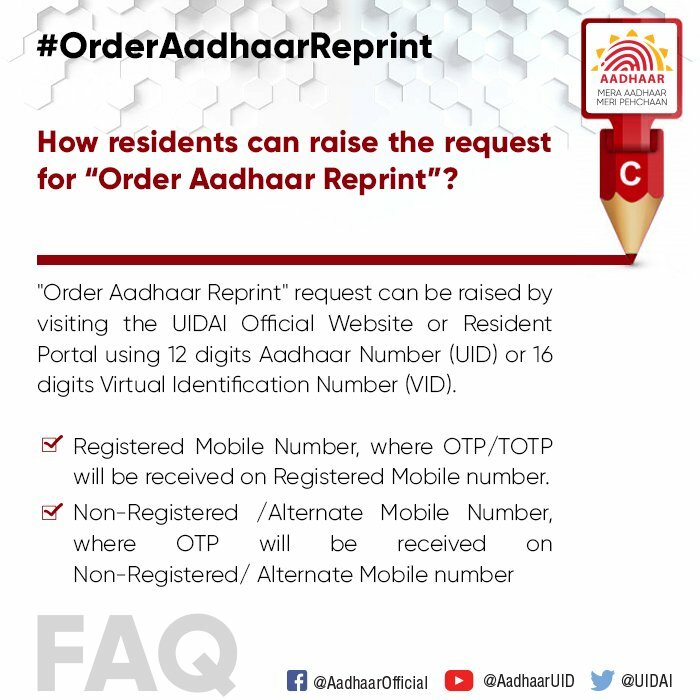 Step 9 - On next screen, preview of the Aadhaar details will appear for verification by resident before placing the order for reprint. Step 10 - Click on "Make payment". You will be re-directed to Payment Gateway page with payment options as Credit/Debit Card, Net banking and UPI. Step 11 - After successful payment, receipt will get generated having digital signature which can be downloaded by resident in PDF format. Resident will also get the Service Request Number via SMS. Step 13 - Resident can further track delivery status by visiting DoP website. 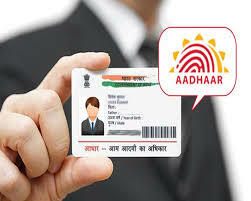 UIDAI will handover printed Aadhaar Letter to DoP within 5 working days (excluding the date of request). Aadhaar Letter will be delivered using SPEED POST Service of Department of Post (DoP) in line with DoP delivery norms and Delivery Status may be tracked using DoP Status Track Services.